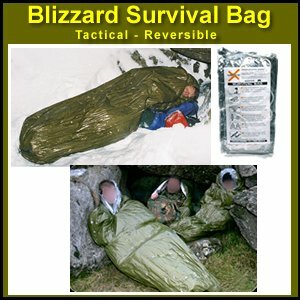 The Blizzard Survival Bag is a Full-Sized Sleeping Bag (Bivvy) in a pack about the size of a video cassette, providing total warmth and shelter - anywhere, at any time. Made with Reflexcell, it is the new standard in thermal performance. Reflexcell material blocks heat loss more effectively than any other emergency product. The bag is elasticized to hug the body to ensure positive warmth retention. Size (vacuum packed): 8.5 in. X 4 in. X 1.75 in. Color: Tactical Olive Drab – Reversible to Civilian Silver for High Visibility and Signaling. Top may be closed to form hood. Fits fully clothed large adult. 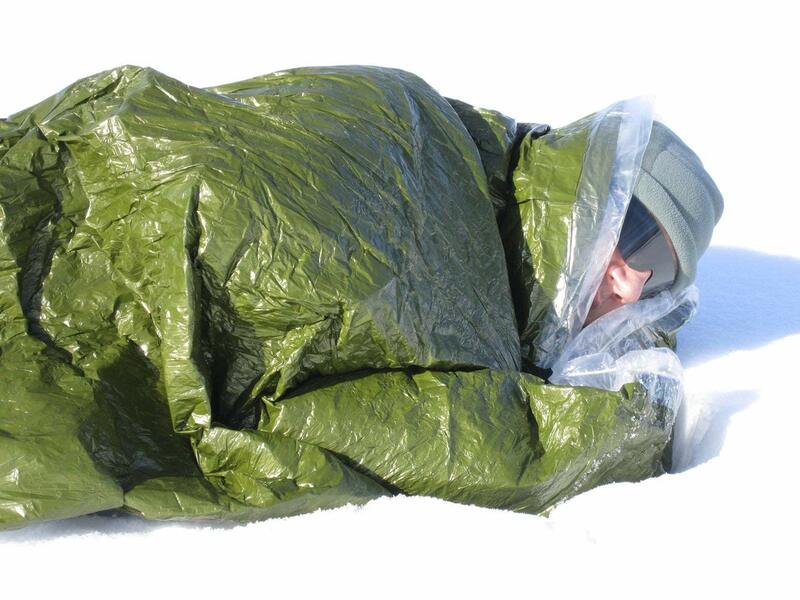 Warmth: 8 Togs - equal to a medium weight regular sleeping bag. Weather protection: fully waterproof and windproof. Storage: indefinite: not affected by temperature or moisture, either during storage or in use. Re-usability: bags can be re-used many times without loss of performance.